Hi everyone! We're back from the beach and feeling good. The weekend seemed to last forever. Not a care in the world, which was just what I wanted. It's amazing what just 3 days of no obligations can do for the soul. No email to check, no dishes to wash, no calls to return. Blissful. This is one of many pictures that were taken where we tried to get Mario to actually look at the camera. 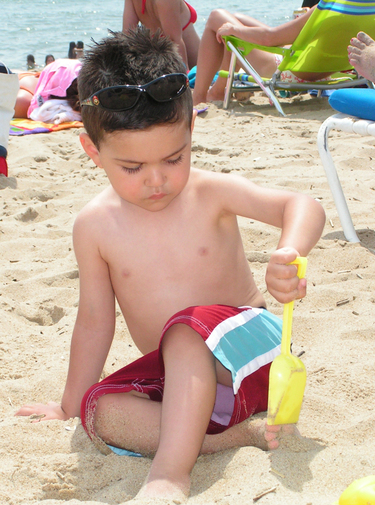 He was much more interested in the sand between his toes, as you can see. He had a ball playing and digging (and throwing sand). No stroller this trip, which was cool. He walked like a little man and held our hands the whole time. Here we are taking a stroll on a mission to find a beach ball for Mario and the local fudge shop for me. Seriously, is this all I write about anymore? Sweets? It seems to be! It was great to be gone, but always nice to be home. The front porch was piled high with boxes when we pulled in the driveway. Lots of new supplies and treasures to be added to the shop this week. Can't wait to dig in! Your little boy looks so very sweet! You are a great looking family!! Looks like you had a wonderful time! Glad to hear that you got to have a relaxing trip with your lovely family. Thanks for sharing. Loved the pictures, especially the one of Mario walking with you like a little man! Good for him. Good for you! Your son is gorgeous! I'm glad you had a wonderful time! Oh... the beach. Being landlocked here is Nebraska makes me long for a beach! What a cute little guy that Mario is! Such fun! And glad you feel refreshed! The beach sounds like it was wonderful so glad oyu had a fabulous time! Fudge shops are a must for me too. Hope oyu enjoyed lots of it, chocolate really is a girls best friend! You look so beautiful and happy in your pictures. Best Wishes to You! 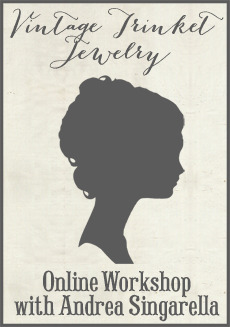 I just found your website about a week ago and am swooning over all of the "pretties"! 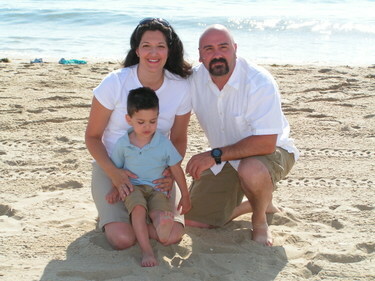 The photo of your family on the beach is very nice, and I must say, your husband resembles my husband (minus the goatee)! Ohhhh what a sweet sweet lil family!! And ohh you look adorable!! With your happy lil pink bump and flip flops!! : ) And ohh Mario is too cute!!!! Thanks for sharing your lovely photos - so good to see some sunshine! We have had rain everyday for months here - aghhhh! Can't wait for your shop - hope you will be happy to post overseas?! You are looking so adorable with your little pregnant belly!! Your husband and son are gorgeous too!! So glad you got to relax and have some fun! !